The three million global vacation rental listings that Airbnb has under its belt means the hotel industry is going to go through dramatic changes, says W. Chris Green. However, it doesn’t mean that homestay titans like Airbnb, VRBO or FlipKey can offer what hotels do best, says the Chesapeake Hospitality COO. For instance, homestay arrangements don’t cover refunds as hotels do, nor is there any guarantee that what prospective renters see on a homestay website is what they’ll get when they arrive at their temporary home. 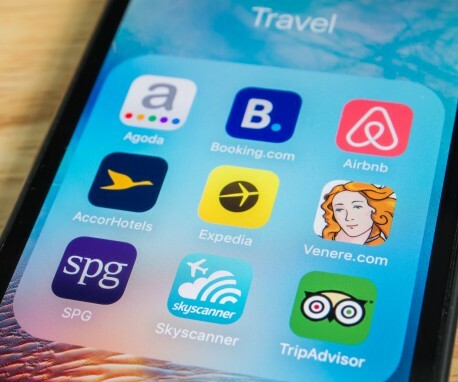 Still, Airbnb and similar sites have become “the Uber of hotels,” Green says, suggesting that their transient, virtual business model is on the rise. However, the bricks-and-mortar of traditional hotels will continue to survive and perhaps even thrive. Citing a 40 percent increase in consumer spending on hospitality in the past five years, Green suggests that that dramatic growth is at least a partial explanation for what Consumer Reports describes as a $100 billion homestay economy. Chesapeake hasn’t felt much impact from the homestay business, says Green, noting the company “operates in either the convention and business travel side of the hotel business.” Some of the independent and branded properties Chesapeake manages are more leisure oriented, but even those have wedding or reception facilities and many have very favorable locations with great amenities such as pools and or water views. Green concedes that you can have a more “authentic” experience in a homestay, a room or apartment directly rented from the owner, than in a hotel, particularly a branded one. A friend of his used Airbnb to rent an apartment in Charleston, SC., paying more than he would have at a hotel for extra room and a downtown experience. Such transactions have essentially become “another part of the hotel business, a part that’s always existed in different forms,” he says. Rick Steves, a well-known consumer travel writer, says vacation rentals are ideal for families, particularly for stays longer than four days. But shorter stays may not be worth the potential hassles involved in arranging key pickup, familiarizing oneself with the residence and having to depend on one’s own resources.